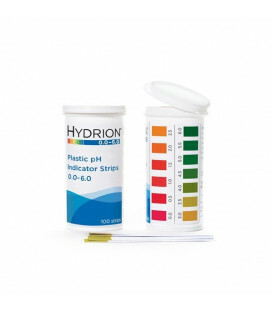 pH Litmus paper 0 - 6 is a short-range general use pH Hydrion Litmus paper for measuring the pH of liquids including the PH of sushi rice slurry. Each roll is 6mm (1/4in) wide x 4.5 metres (15ft) and will give the user approximately 100 tests. Comes complete with colour chart and directions. 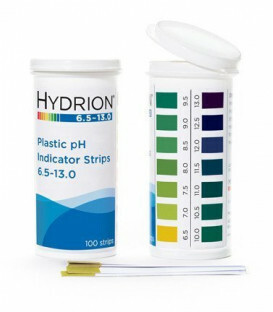 Conveniently packed in flip-top vials, these premium quality, wide-range plastic strips offer clear, bright single color matches at every 0.5 interval from pH 6.5-13.0. 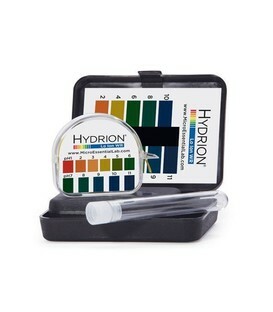 Water pH Test kit 5 -9 is a short range testing kit for measuring most drinking waters. 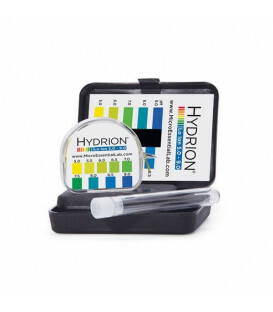 Each kit contains a 15-foot roll of test paper, matching color chart and one(1) capped 4 ml. sample tube, packed in a polypropylene protective case. 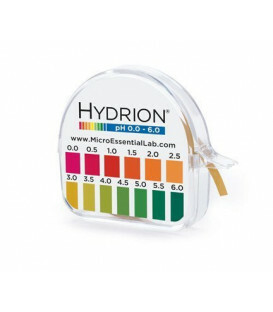 pH Litmus paper is an accurate way to measure the pH of both urine & saliva. 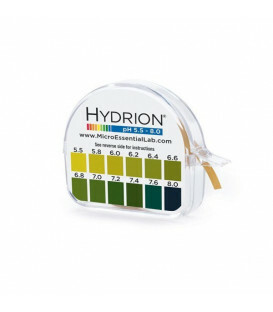 Each roll will give the user approximately 100 tests and comes complete with Colour Chart and Instructions. Litmus paper. 6mm (1/4in) wide x 4.5 metres (15ft). 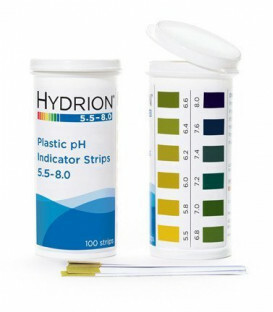 pH Litmus Paper pH 6.5 - 13.0 is a short-range general use pH Hydrion Litmus paper for measuring the pH of liquids.  Each roll will give the user approximately 100 tests. 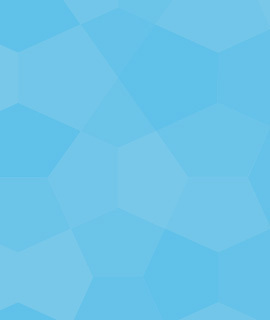 6mm (1/4in) wide x 4.5 metres (15ft). Comes complete with colour chart and directions. 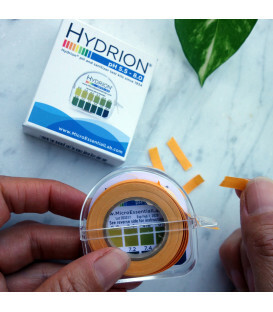 EXPIRY DATE: 15 MAY 2019 - Each pack contains 100 plastic strips with bright single color matches at every 0.5 interval from pH 0.0 - 6.0.